A beautiful lawn doesn’t happen by itself. Let us free your time. 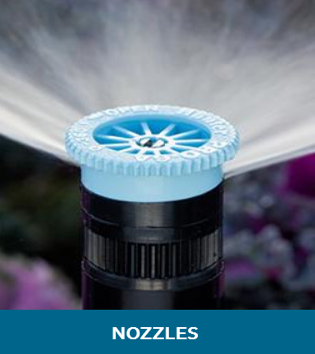 Why choose Spring Man Canada Inc. To Install Your Sprinkler System? 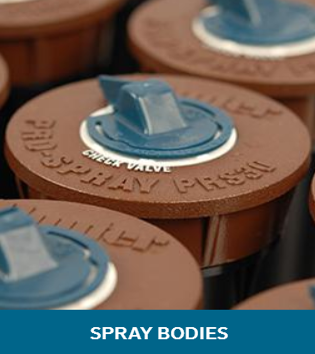 Spring Man Canada Inc. has been in the service business for 10 years, is established, and focuses to provide a great experience for all of our clients with professionalism, brand name products, experienced installers, and a 5-year warranty on our sprinkler systems. 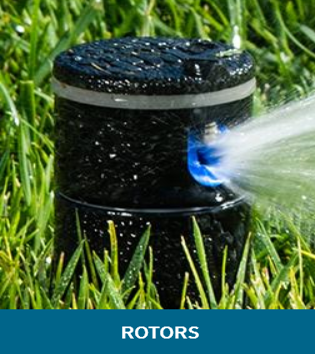 Our sprinklers systems will give you a green, thick, and healthy lawn and garden growth! We use industry leaders known for quality and innovation to supply us with the sprinklers components – Hunter Industries or Rainbird. Our sprinkler systems are controlled electronically and are programmed by our technicians to irrigate your property at the best time – in the early morning! They work 24/7 throughout the season so you can focus your time on other priorities like your family or going on a vacation. Don't let your lawn or garden bed suffer of thirst. Time is scarce and we understand that our clients are busy with more important aspects of life. Our sprinklers will free your time! 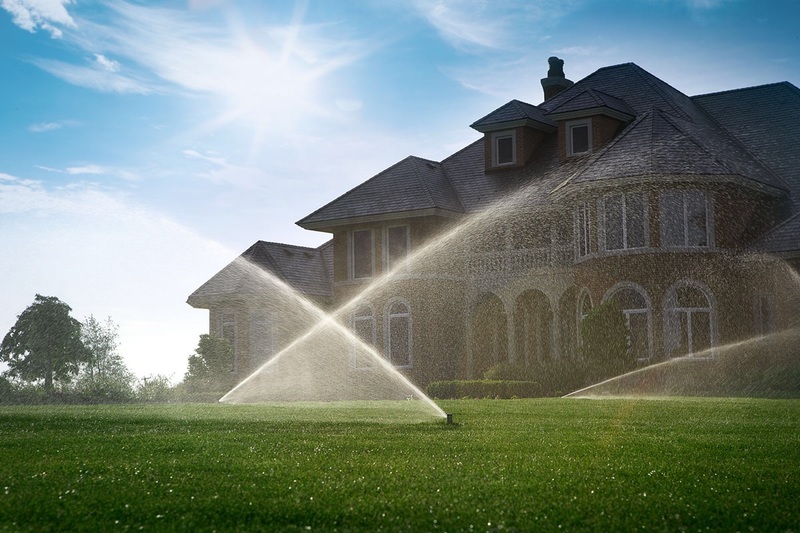 Our sprinkler systems will save you money versus manual watering. Sprinkler systems allow you to water your garden uniformly and effortlessly with the ideal quantity of water. As an example, you can regulate the volume of water that’s needed in a specific area quickly with a click of a button. Our sprinkler systems are installed underground using advanced pipe pulling machinery. Our installation crews are experienced, our pipe pulling machinery installs the pipe underground efficiently with little or no damage to your lawn versus hand digging or trenching. No more garden hoses to handle, no visible sprinklers, no tripping hazards, no visual distraction other than your nice, green lawn to look at and enjoy! All Sprinkler heads are installed using an accurate measurement called head to head coverage evenly spaces out each sprinkler to get full overlapping coverage. We also make sure our sprinklers are installed a safe distance away from sidewalks, roads, and driveways to protect them from snow removal machinery during the winter season. Our sprinkler systems eliminate the need for pesticides and further maintenance by creating a moist soil condition for your grass and gardens to thrive! 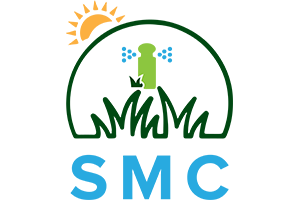 Save the environment and money and have safe access to enjoy your lawn and garden by eliminating the need for pesticides and/or fertilizer. Having a healthy lawn and/or garden bed provides a beautiful and clean curb appeal of your home! They are precise at distributing water in a timely fashion and always provide consistent watering schedules throughout the season. With rain or soil moisture sensors, our systems are more intelligent. By installing Smart Wifi Controllers, our sprinklers systems become even more efficient by accessing local weather forecasts and adjust their water schedules. Additionally, Wifi option gives you the ability to control the sprinkler system on your smartphone! 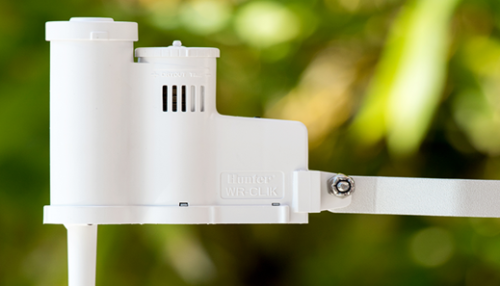 A rain sensor provides the simplest, most effective way to prevent sprinklers from running during or after any level of rainfall. 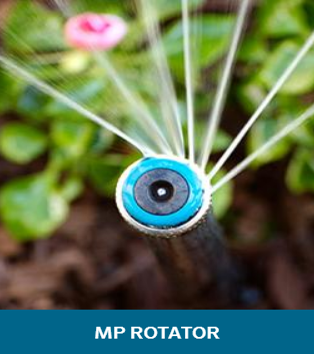 It easily installs on any automatic irrigation system. 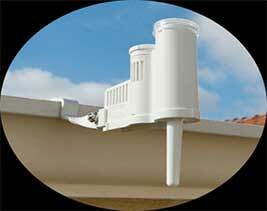 The sensor stops scheduled irrigation when it detects a pre-set level of rain has fallen. This automatic process ensures landscapes aren’t watered during a storm. 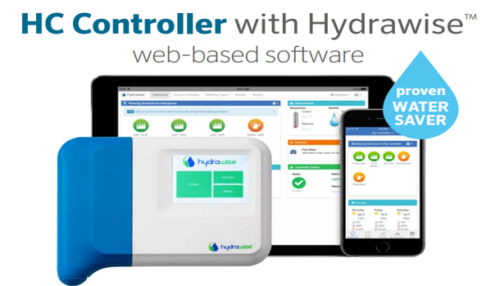 Once the storm passes, the sensor allows the controller to resume normal irrigation. 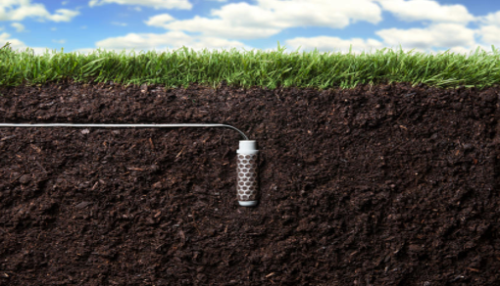 The moisture probe uses proven technology to measure moisture within the root zone. When the probe senses that the soil has reached its desired moisture level, it will shut down irrigation, preventing water waste.  The Solar Sync ET sensor is an advanced weather sensor that calculates evapotranspiration (ET) and adjusts Hunter irrigation controllers daily based on local weather conditions. Solar Sync measures solar radiation and temperature, and uses ET to determine the correct seasonal adjustment percentage value to send to the controller. Irrigation system backflow prevention devices are used to protect water supplies from contamination or pollution. 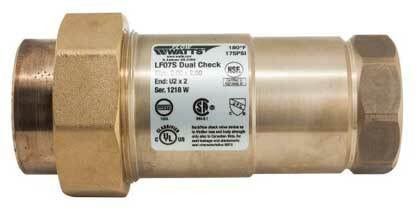 Irrigation backflow devices are designed for installation on potable water lines to protect against both back-siphonage and back-pressure of contaminated water into the potable water supply. This prevents any contaminants from entering your house water, thus protecting your family's health. Designing a sprinkler system requires lots of planning and designing. You will be amazed at what seems to be a simple task can take days to finish. The first step would be to sketch out your residential land and to take into consideration all obstacles such as trees, shrubs, wall and even plumbing and electrical lines (Ontario One Call Locate Service may need to be performed) Next would be to design the system capacity by calculating the supply of water from either the municipality or from a nearby lake. Third would be to design the water pressures and volumes needed to achieve the desired supplied flow rate. From there on, it’s a matter of efficiently installing underground pipes and sprinkler heads so that the water supply will evenly spread out to all the covered area. 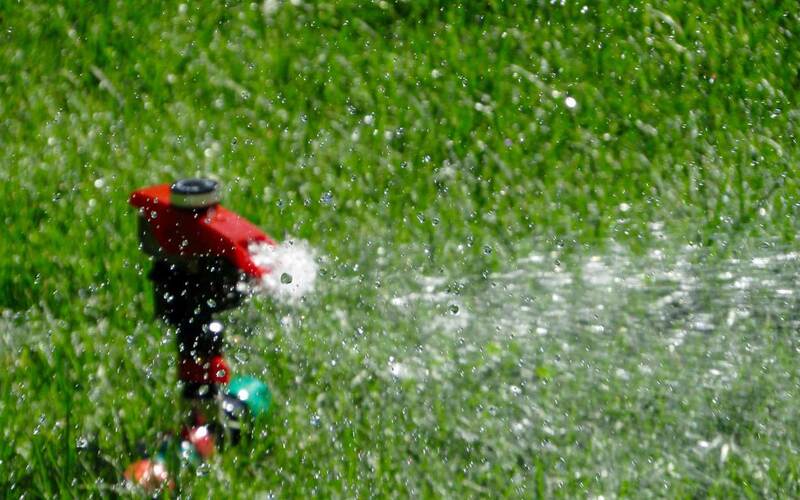 Have any problems setting up your sprinkler system, technical problems, or damages to your sprinklers system? We have technician crews minutes away and we will send them out to your property to assess the problem when you call us. Copyright © 2018 Spring Man Canada Inc.